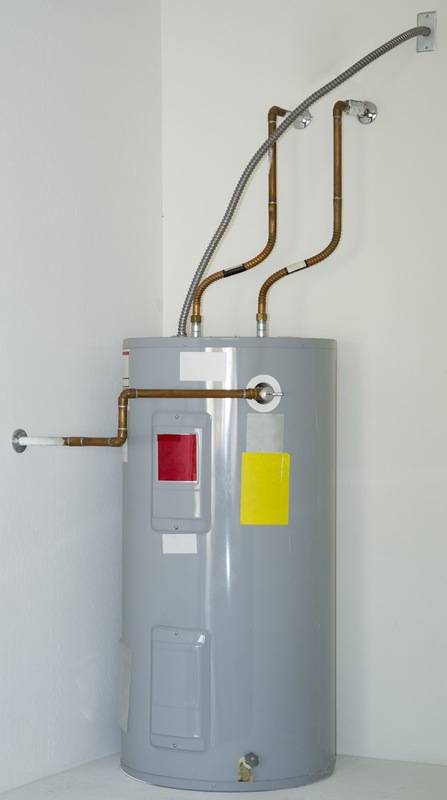 Is it time to replace a leaky water heater? Sometimes there is no alternative but to replace a leaking, broken or rusted hot water heater. Most water heater tank leaks cannot be patched or repaired. There is only one way to fix a water heater when it begins to leak at the bottom… replace it. Unfortunately, if your water heater has a leak and you ignore it, it will get worse... FAST. Hot water heater leaks are the number one cause of flooding and flooring damage in most properties. If you discover a leak, you should shut off the water supply immediately. One of these three methods should stop water flow to your hot water heater. Once the water heater supply line is turned off, the unit will no longer have hot water available, but it's better than the flood damage you could have experienced if you hadn't noticed the leak. Water will continue to drain from the water heater tank until it is empty. To prevent this, find a garden hose and connect it to the hose bib at the bottom of the of the water heater. Run the hose outside, preferably going down hill. The hose should be straightened out so the water will flow freely into the yard. Leave the hose connected until all the water is removed from the water heater tank. While the water heater is draining, make an easy phone call to Arizona's favorite plumber, Rainforest Plumbing & Air to get a trained technician headed your way. A professional plumber will be able to help you select the right water heater replacement. When our certified plumber is there it may be the perfect opportunity to upgrade your water heater or have him take care of other plumbing needs. 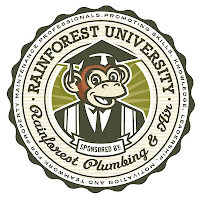 Visit the Rainforest Plumbing and Air website to learn more about our service offerings. You'll love our Up-Front Guarantee!